In a world of touch screens and over-crowded hospitals, the demand for antimicrobial coating has never been higher. In the US, 100,000 people die a year as a result of a hospital acquired infection, despite all the measures in place to prevent it, and infections occur outside the hospital too; microorganisms cause problems in aged care facilities, research labs, schools, factories and construction, food processing and catering, leisure facilities and more. With resistant bacteria on the rise, we need to protect ourselves and others against the threat of infection and one way is with antimicrobial coating which works by preventing microorganisms (bacteria, fungi, viruses) from adhering to a surface and destroying the microorganisms they come into contact with. In this article we will look at what makes antimicrobial coating work, and its many applications across the medical and healthcare sectors including antimicrobial coating for ductwork, interiors and instruments. We also look at the antimicrobial coating companies operating in the US. Antimicrobial coatings work through the biocidal action of copper, silver, zinc, or organic additives. These materials interfere with the spread of microbes through various mechanisms, such as binding and interfering with respiration or destruction of bacterial proteins and cell walls. The end result is the same: microbial growth is inhibited and the microbes are destroyed. Copper – More effective than silver in killing bacteria yet it drastically changes the surface’s appearance and is therefore not very common in medical antimicrobial coatings. It is more often used as antifouling on boat bottoms. Silver – The most common antimicrobial additive in coatings and paint. Silver does not change the appearance of coated surfaces and effectively kills pathogenic bacteria and Candida without harming the good probiotic bacteria. Silver ion is also suitable for making nano coatings antimicrobial. Zinc – Resists bacteria in a moderate rate, but works very well against mold and fungi. Therefore it is a common additive in lightly antimicrobial and mold resistant coatings. Organic additives – Including phenolic biocides, quaternary ammonium compounds and fungicides. Used for protecting a surface rather than the one touching the surface. Abrasion resistant – Antimicrobial coatings need abrasion resistance, mechanical strength, and the ability to withstand use, especially for areas like floors, walls, and oft-handled surfaces. Highly adhesive – Antimicrobial coatings provide a barrier between a substrate and the environment, and they need to adhere strongly in order to prevent any spaces or gaps in which microbes could prosper, especially in interstitial spaces in textiles. Chemical resistant – The environments in which antimicrobial coating are applied are also environments where heavy-duty cleaning agents are used. Because of this antimicrobial coatings need to endure chemicals without loss of efficacy. Any environment in which the spread of microbes or illness is a risk can benefit from an antimicrobial coating. Whether there is a need for a hygienic solution in a public bathroom or to protect end-users in a food preparation facility, an antimicrobial coating is a simple and effective choice. 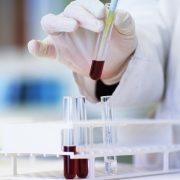 Therefore, antimicrobial coatings are an essential part of the wider spectrum of medical coatings. Antimicrobial coating is used in the healthcare and medical sectors in various applications such as medical nano coating, antimicrobial duct coating and germ-free floor and wall coatings. Antimicrobial coating for ductwork prevents growth and spread of harmful microorganisms. Out of sight, out of mind, ductwork is a silent cause of allergies and illness. 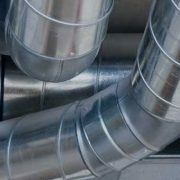 Ductwork is used in heating, ventilation, and air conditioning (HVAC) to deliver and remove air from a building, especially buildings like airports, schools, offices blocks, and medical facilities. In the US, poor air quality is an increasing problem; ductwork that is not maintained can become contaminated with dust, dirt, bacteria, fungi, and mold, leading to all these substances circulating a building. Asthma and Legionnaire’s disease are just two outcomes of contaminated ductwork. To protect from this antimicrobial coating for ductwork can be used, preventing the growth of microorganisms and protecting the inhabitants. These coatings are also anti-corrosive to protect the steelwork of the system. Suitable coatings: Liquid water-based antimicrobial epoxy paint or emulsion coatings containing silver ion or copper. Copper plating alone prevents microbial growth, but the surface then requires more frequent cleaning and maintenance. The purpose of antimicrobial coating for interior surfaces is to prevent spread of bacteria. These coatings are a must in areas where harmful bacteria are present such as hospitals and clinics. The interior surfaces that require antimicrobial properties include floors, walls and high touch surfaces. Antimicrobial coatings for walls prevent the spread of bacteria and the growth of fungi and mold; they contribute to overall hygiene and reduce the risk of mold and fungi borne illnesses. An antimicrobial flooring prevents bacteria from outside getting in, as well as hinders the internal spread of bacteria by providing a surface impossible for bacteria to survive on. Nano antimicrobial coating is used on instruments and equipment. These frequently touched surfaces such as doorknobs, bins, elevators and other metal surfaces require a durable and aesthetically appealing coating with strongly antimicrobial properties to prevent the spread of bacteria. Suitable coatings: Silver ion reinforced antimicrobial powder coatings or an antimicrobial additive integrated into the material (plastic or metal) during manufacture. Medical instruments and implantable devices need to remain clean and free of bacteria at all times to prevent infections at surgery sites or in recovery. Therefore, different medical antimicrobial coatings are applied to achieve such a surface. The requirements for these coatings include hydrophobic, easy to clean, and antimicrobial. Additionally, if the coating is to come into contact with the body, it needs to be biocompatible, biostable and non-toxic. Suitable coatings: Antimicrobial powder coating or nano coating with silver ion. Antimicrobial products available in the US can be divided into: antimicrobial powders, antimicrobial coating additives, and nano coatings. In the following table we provide you with a brief overview on antimicrobial coating and additive manufacturers active in the US. If you want more information about antimicrobial coating companies or a product for your project, get in touch! Our experts are here to help. Simply send us the relevant details of your project and what you need by using the button below or by completing the form on our contact page. We will then collaborate with our coating partners in order to connect you with the right coating solution. AkzoNobel (Interpon) Interpon AM powders High-touch surfaces such as doorknobs, bins and other metal surfaces. PPG PPG Silversan antimicrobial powder coating High-touch surfaces such as doorknobs, bins and other metal surfaces.